NIA24 Skin Strengthening Complex is formulated to enhance the skin's barrier function, accelerate skin repair and increase moisturization. Visibly improve fine lines and wrinkles with this fortified repair cream with pro-niacin. Love this moisturizer very hydrating my skin looks amazing. Excellent producu. Recommended by my dermatologist. 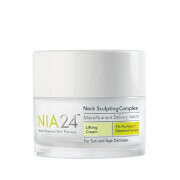 Starting using the Nia 24 Skin Strengthening Complex a few years ago. I have aging but sometimes sensitive skin. This product does it all...moisturizes, evens texture, brightens. Cannot do without it. A bit pricey but spreads well so I don't need to use much at a time. This is a great lightweight moisturizer with powerhouse ingredients. I own this, the Intensive Recovery Complex, and the Neck Sculpting Complex. I would say the Skin Strengthening Complex is the best for my combination/oily skin. I love love this stuff!! I have been using this for years. 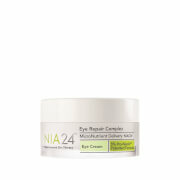 I love Nia24 products and this one is even more special. It works!! My absolute favorite moisturizer! I use it with a small amount of HA serum so I can spread a pearl of this liberally across my entire face, neck and hands. I use in the morning after Vit C serum and at night after retinol. It's a critical part of my skincare routine. So far I am happy with this product -- it is hydrating and non-irritating to my somewhat sensitive skin. I know that improving the skin's barrier function is very important in skin care. I usually mix a little argan oil in to add hydration. I love how this product works! It makes my skin soft and controls the wrinkles I get. 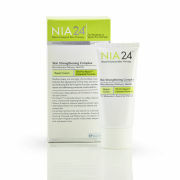 The NIA24 products are on my short list of really good skincare brands. The skin strengthening complex is a great face cream. It moisturizes really well that I don't need to use another cream on top of it. A little goes a long way. I can tell a difference in my skin after using it. Love this product!!! Been using it for years. I use it at night with a retinol and during the day after a serum. Tried other products to fade sun spots and other flaws but this one works better and is far more gentile on my sensitive, aging skin.